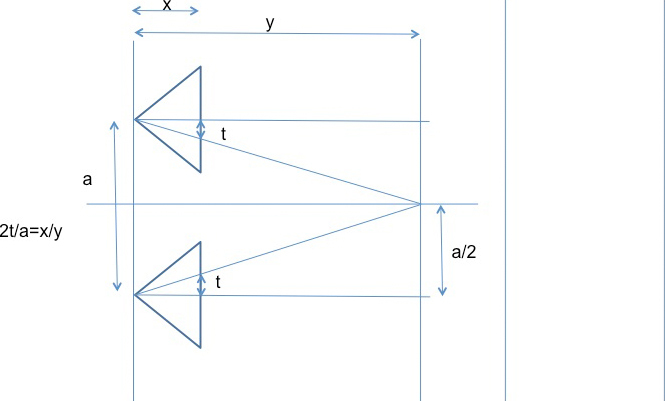 With an array of cameras, you can obtain a set of rays by capturing an array of images. By using this light field data, it is possible to generate new images with different field of depth. 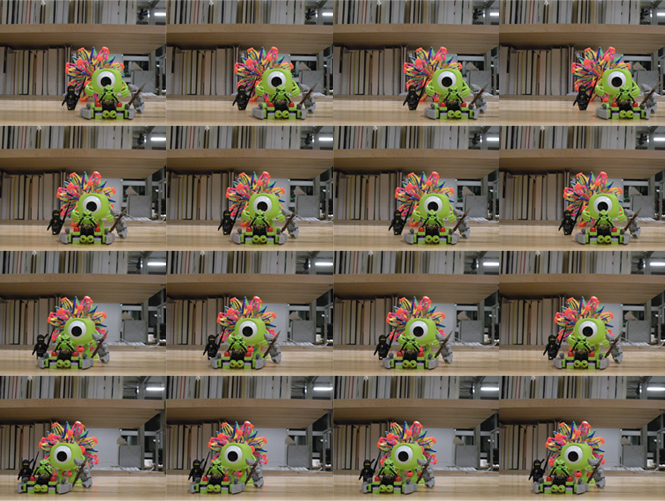 This is an exercise to achieve digital refocusing using photos taken by an array of cameras. The basic idea is to shift and add the pixels to achieve digital refocusing effects. Here is a link to the LightField Camera paper. For this part of exercise, I used an archive of photo set from one of Jinyi Yu's lecture. 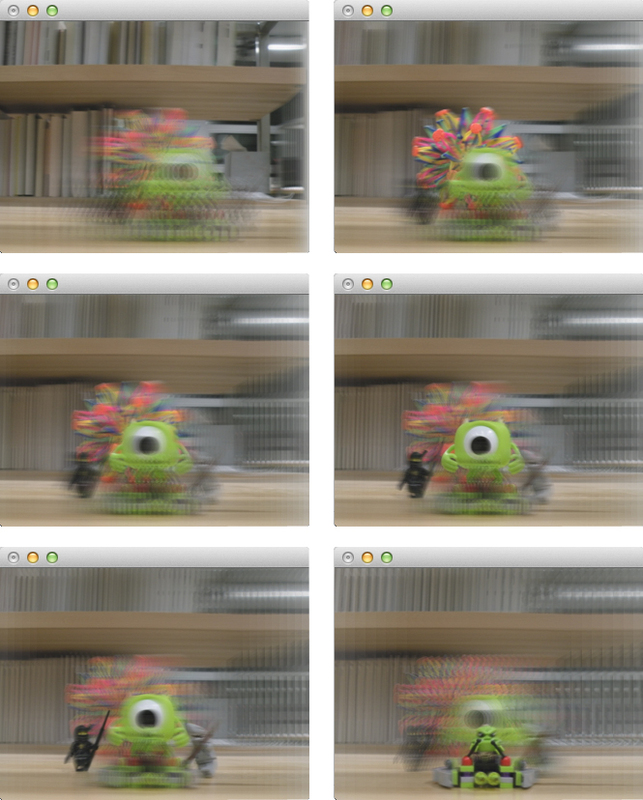 The effect was achieved by using C++ in openFrameworks platform. Based on Stanford University's paper on plane+parallax calibration, I was able to learn how light field consists of images of a scene taken from different viewpoints. They introduce how it is possible to obtain refocusing and see-through effect by using the light field. The goal of this exercise was to acheive the same effect using my own photos and coding. The original photos in this project were taken by Nikon Coolpix P80 camera with 10.1 megapixel sensor. I used C++ and openFrameworks library for this project. The source code can be found on the bottom of this page.